With our superb range of metal wheelie bin stores, you can hide away those unsightly wheelie bins into a neat, tidy and great looking storage chest. Locate it anywhere in your garden or patio, or even in front of your house. Designed to hide wheelie bins up to sizes of 140L, 180L, 240L, these superb metal bin stores are made with thick, hot-dipped galvanised steel panels which are completely weather proof. Choose the right size to suit your requirements with the knowledge that you are buying a quality metal bin store. Should you have any questions, or would like to check your dimension and size requirements then please give us a call. 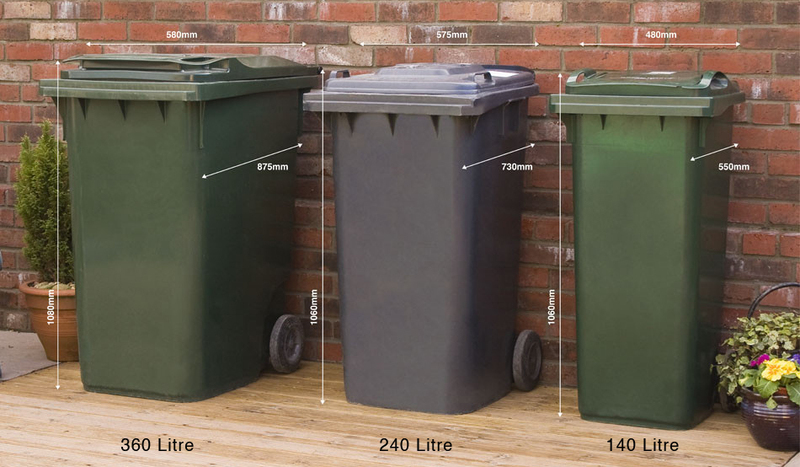 What Size Is My Wheelie Bin?